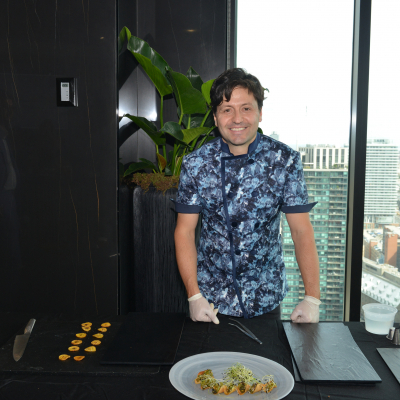 After a surprise introduction to King & Bay by his biggest fan, Chef Felipe Recaman is thrilled with his custom chef jacket. 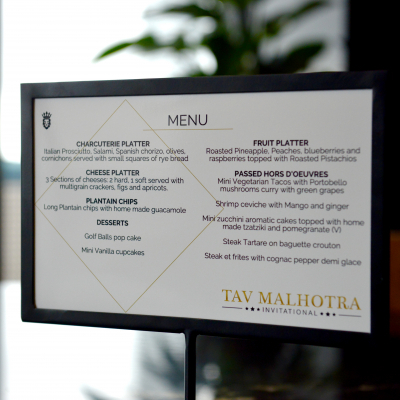 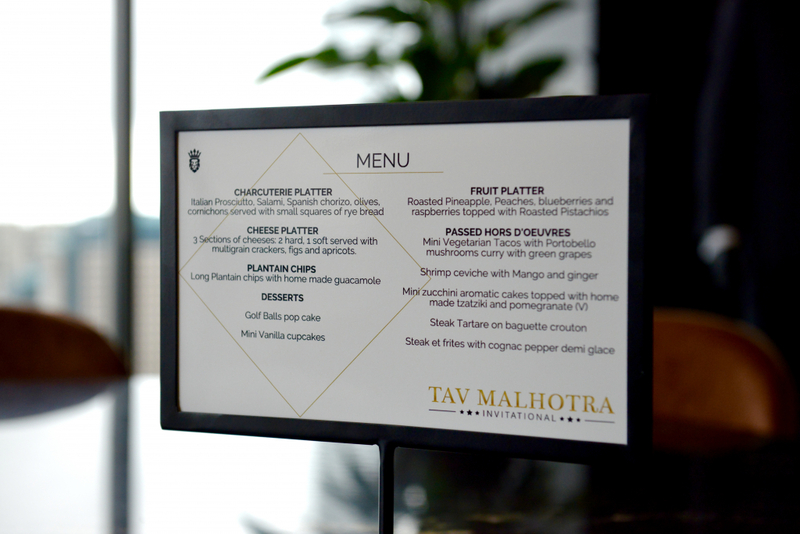 It's a fabulous customized look for an adventurous, creative catering chef. 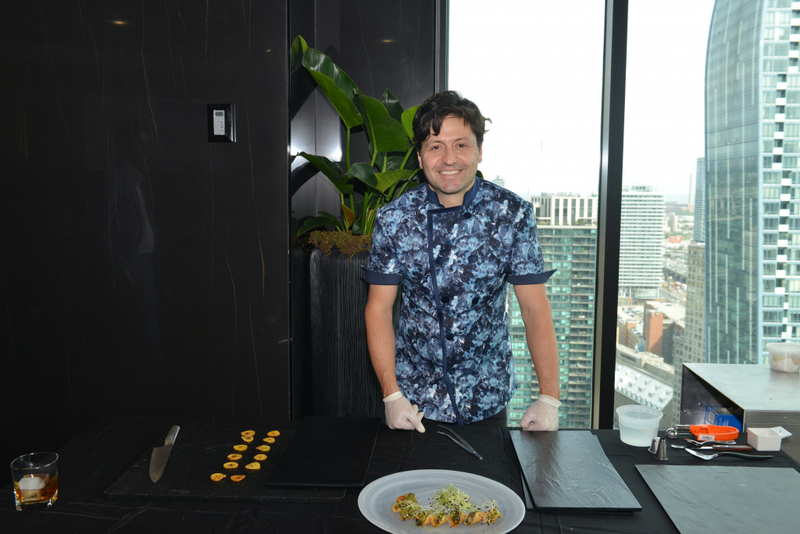 Chef Felipe was referred to King & Bay through our great client Brian Bachand. 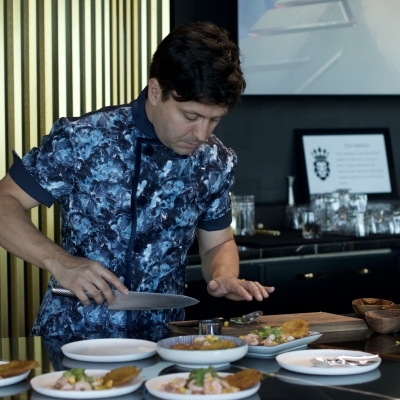 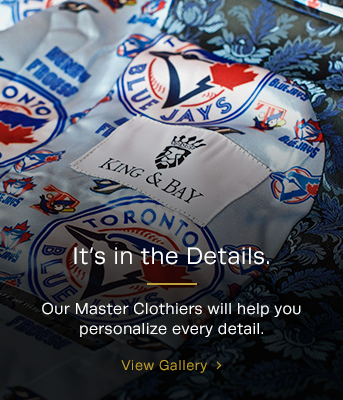 Brian invited Chef Felipe to come with him to a fitting in the King & Bay lounge, during which the idea of creating a custom chef jacket was 'pitched'. 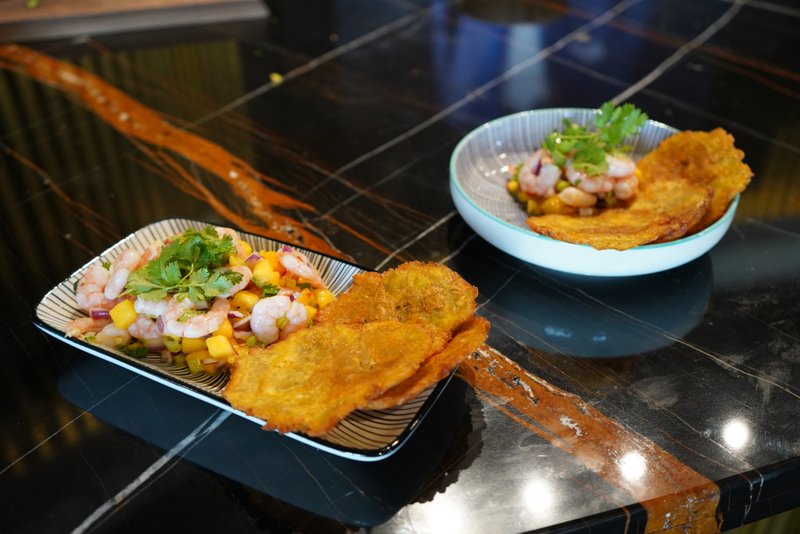 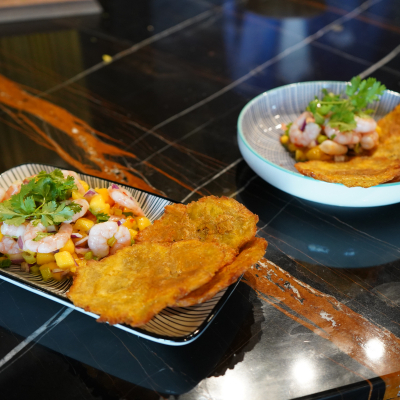 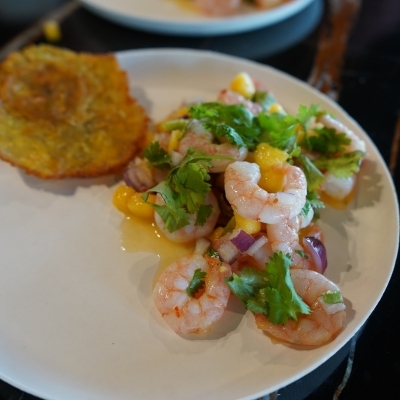 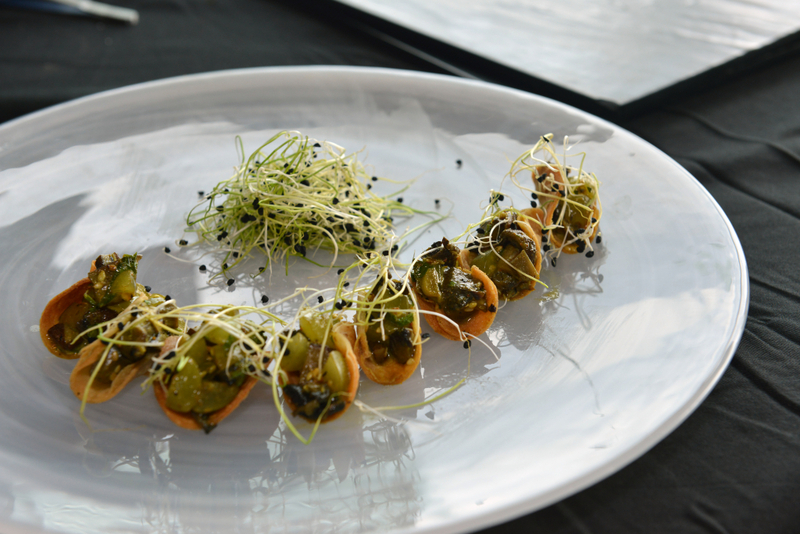 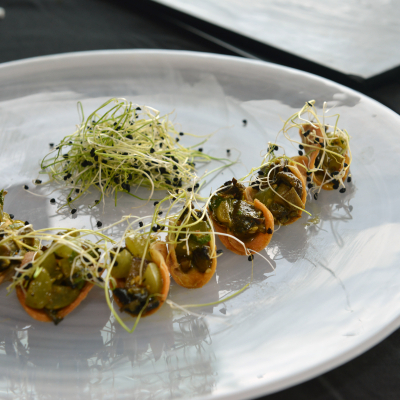 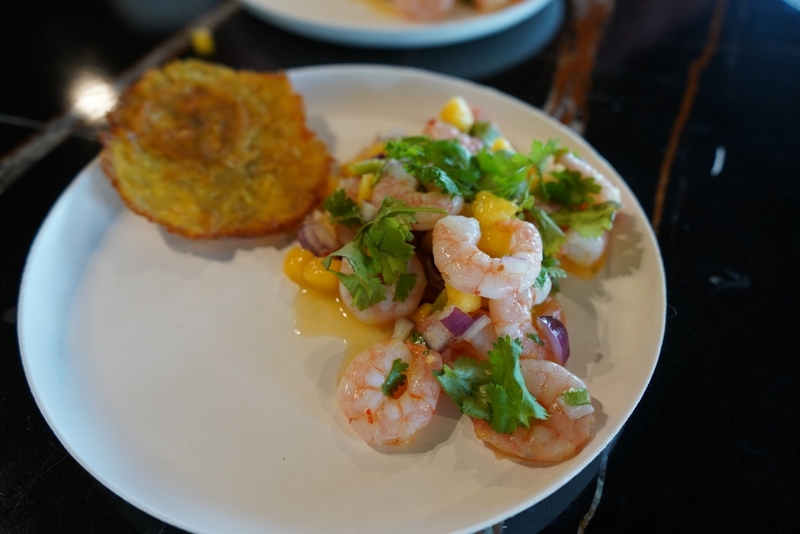 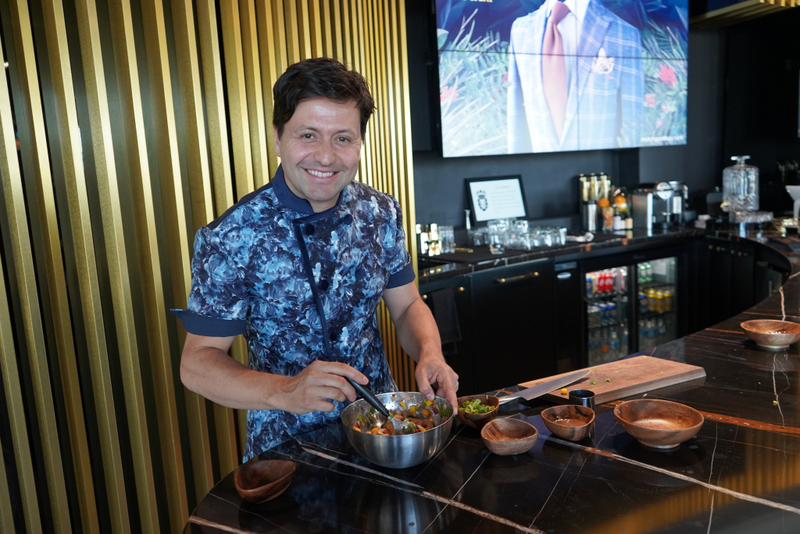 While he was initially skeptical about the process – simply because custom clothing was out of his comfort zone – Chef Felipe agreed to give it a try. 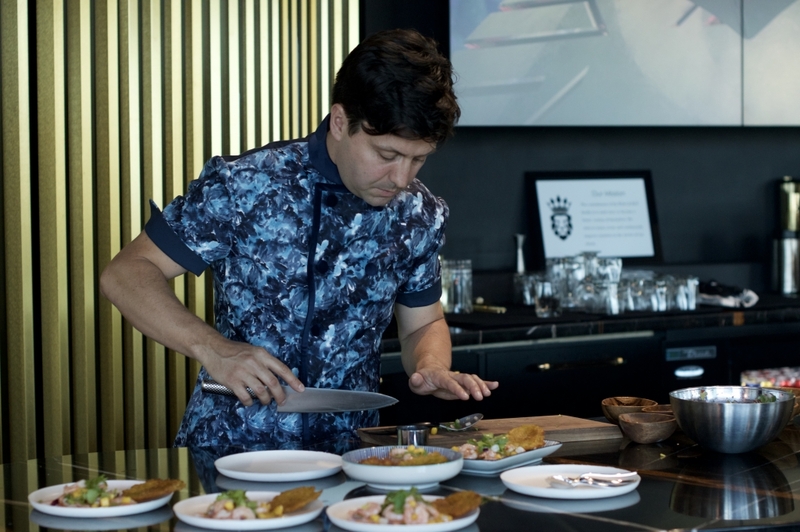 After collaborating with the King & Bay team and going through numerous designs and fabrics, Chef Felipe landed on a jacket concept that suits him perfectly. 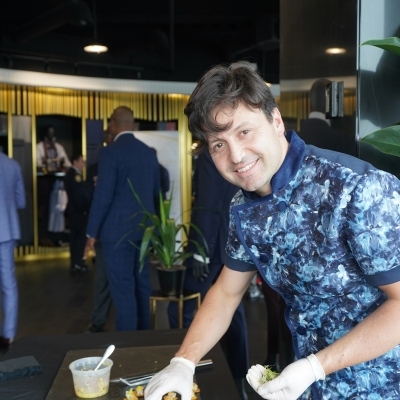 Rather than the traditional white jacket, he opted for a sky blue floral fabric which stands out at functions and truly matches his colourful personality and elaborate palette for food. 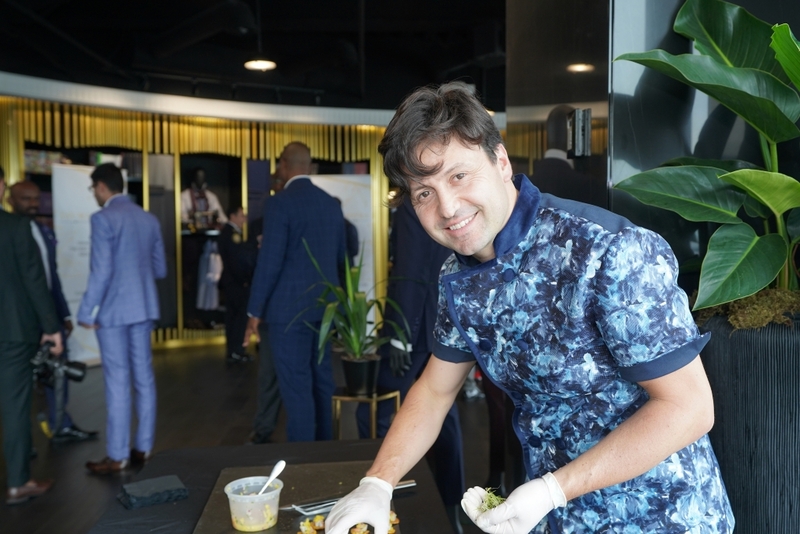 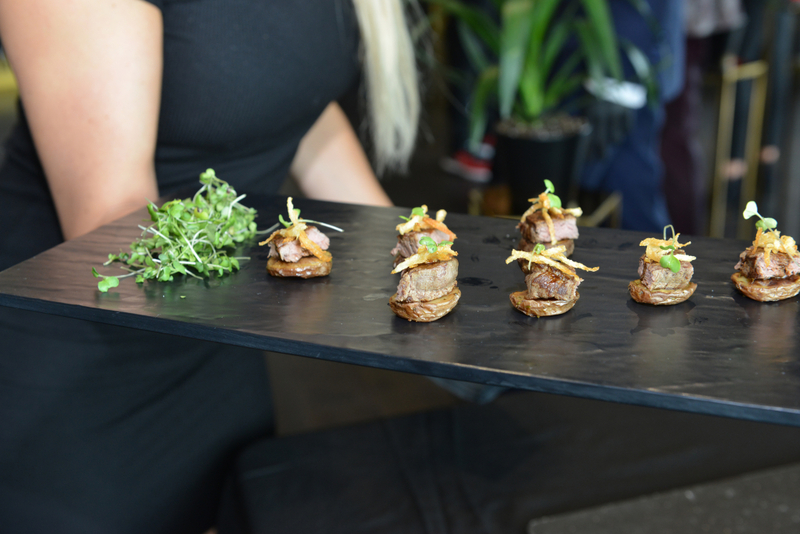 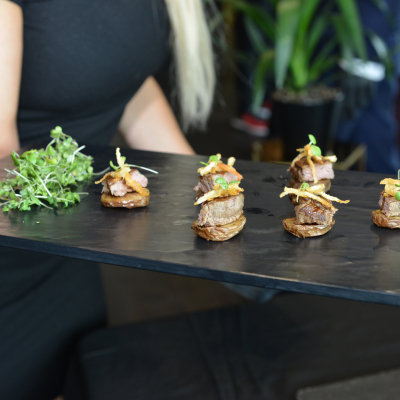 On September 27, King & Bay hosted a private event for Mansha Financial and invited Felipe to cater the event, during which he received numerous compliments on his stunning chef jacket! 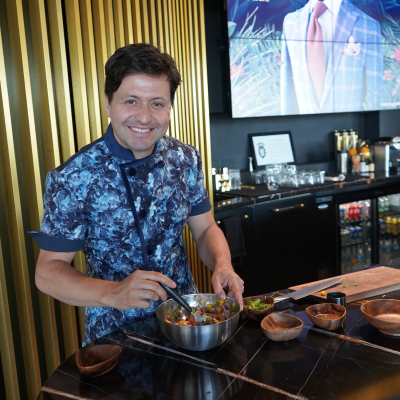 There's nothing better than great food served by a great chef with a great look.